Why should Google Voice have all the fun? 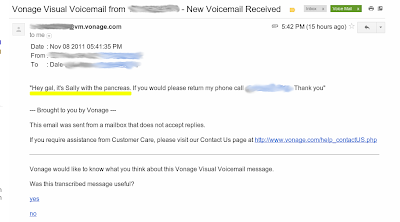 Vonage has been transcribing voice mails for a while now. 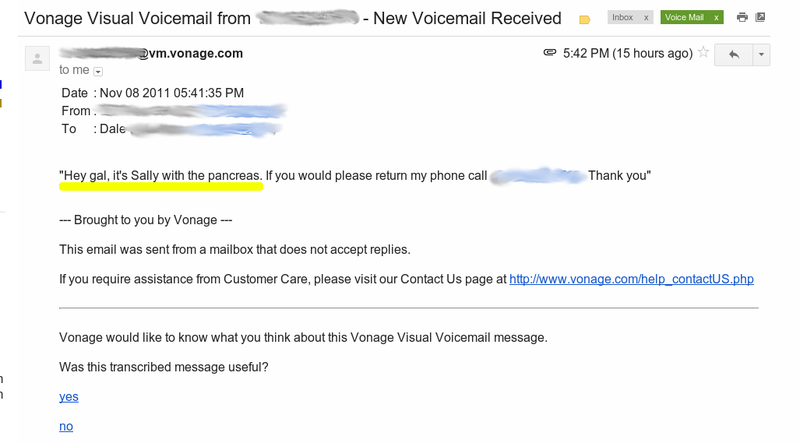 I got this message the other day from a recruiting firm offering me a pancreas! I'm working with a client that requires VM to text transcription. They are currently setup using Voip.ms SIP service and their voicemail. The voicemail provided by voip.ms sends out emails with .WAV files attached, but does not offer transcription services. I'm looking for a service that could be used to just automatically send VMs from Voip.ms to be transcribed and then sent directly to the user. I found PhoneTag, but their prices seem a bit high for the low volume of VMs that would be transcribed each month. Any Experience with PhoneTag? Any other suggestions, perhaps even something opensource that could be setup in house?